The Trippin Thru California Sitemap is fast, convenient and super user-friendly. You'll find all of the content on this site, on this one page! Scroll down to find a category that interests you. When you see something you like, just click on it to read more about it. Venice Beach California - Fun things to do! Santa Monica California - Check out fun things to do on the pier! San Pedro California - Beaches, fun places and things to do! Marina del Rey California - Fun things to do and where to stay. Newport Beach California - Beaches! Where to stay & Things to do! Adventure City in Anaheim California is a fun little theme park! Top Los Angeles Attractions - Pick a Park and Go! List of Water Parks in California - Slide the Slides! What is Varietal wine anyway? What is Two Buck Chuck? Super cheap wine my friends! Popular Table Wine Types - Yay! Sangria Baby! What is Organic Wine? What is Biodynamic Wine? Delicious Ice Wine - What is it? How is it made? What does it taste like? The Best Chardonnay Wines come from California! WOW! Cellars Wine Club has 12 different Wine Clubs to Choose From! Top California Wine Regions - The 5 major regions. What is an AVA? The California Wine Club - 4 Wine of the Month Clubs to Choose From! Why does Box Wine get such a bum rap? Warner Bros VIP Studio Tour, Burbank - Get discounts for tickets here! The Trippin Thru California Sitemap changes all the time with new information added regularly, so check back often to be updated on all the latest. Or.....instead of coming back to the Trippin Thru California Sitemap, you can use RSS. What is RSS? 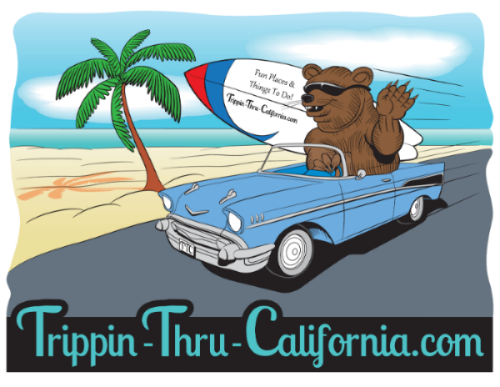 Thank you for checking out the Trippin Thru California Sitemap! I am always adding new pages to the Trippin Thru California Sitemap, so please check back often. Thank you! Trippin Thru California Sitemap created by Patty Burns using HTML Sitemap Generator. This was so easy for me to use and I highly recommend it if you have a website and need to easily add a sitemap.